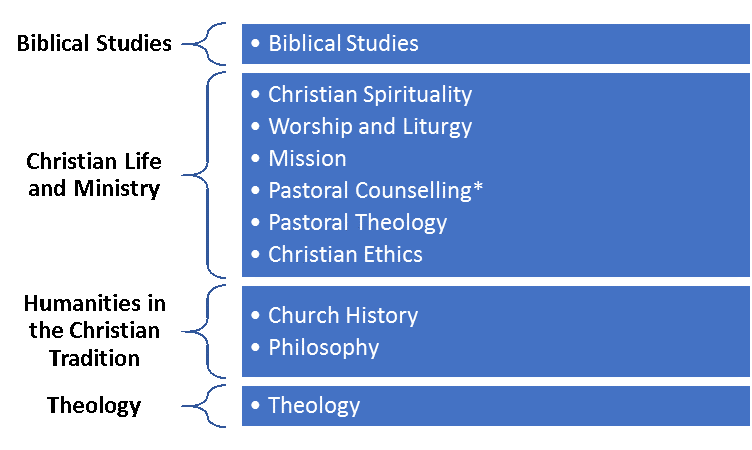 Why undertake a Master of Theology? The Master of Theology is a coursework program designed for those who hold at least a Bachelor of Theology (or equivalent) and who wish to pursue theological studies in greater depth and with greater rigour. It includes either a specialisation of six units in one discipline or subdiscipline, or in-depth studies of three units in two or more disciplines or subdisciplines, along with the opportunity for a focused research project. 1.5 years full time or up to 4.5 years part time. The maximum time allowed is 4.5 years. Full time is usually three or four units per semester, part time is one or two. Not more than two units in Independent Guided Studies. You could be eligible for credit, but this is capped at six units depending on the study you’ve completed. Have a chat to the registrar at your chosen Teaching Body about applying for this. I want to complete more study after my Master of Theology, what should I do? This depends on where you want to go in your career, and what your grades have been like throughout your studies. The Master of Theology is an academically rigorous degree and is a pathway into Higher Degree Research programs. If this is something that you would like to consider have a chat the registrar at your chosen Teaching Body.